Beat unsalted butter at medium speed about 2 minutes or until soft & creamy. Gradually add sugar, beating at medium speed 5-7 minutes. Add eggs, one at a time, beating just until yellow disappears. Combine flour and next 6 ingredients. Combine pumpkin and bourbon (rum). Add flour mixture to creamed mixture alternately with pumpkin mixture, beginning and ending with flour mixture. Mix after each addition on low until blended. Pour batter into greased and floured 10-inch tube pan. Bake for 1 hour and 25-30 minutes or until wooden pick inserted in center comes out clean. Cool cake in pan for 10 minutes before removing. "The greatest delight the fields and woods minister is the suggestion of an occult relation between man and the vegetable. 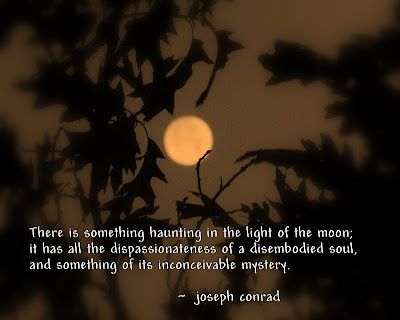 I am not alone and unacknowledged. They nod to me and I to them." Bring water to boil in 2 quart saucepan. Add pumpkin or squash and cook until fork tender but still firm. Drain and toss with apples and cranberries. Transfer to oven-proof casserole. Melt butter in 1 quart saucepan. Add ginger, brown sugar and Cointreau and heat until sugar is dissolved. Season with salt & pepper. Pour over pumpkin apple mixture. "Fiery colors begin their yearly conquest of the hills, propelled by the autumn winds. 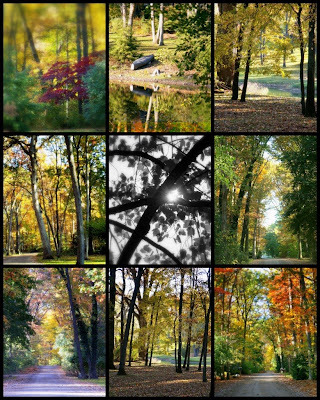 Fall is the artist." Prepare grill. Using a long, think knife, begin at thick end of pork tenderloin and cut a 1-inch wide pocket through the center of each, using handle of wooden spoon to widen pocket if necessary. Season with a bit of cracked pepper. Set aside. In large skillet, heat olive oil and add onion, cooking over moderate heat until translucent, about 3 minutes. Add sausage and cook, breaking it up with wooden spoon until cooked through, abut 3 minutes. Add apple, garlic, thyme and sage and cook until apple begins to soften, about 2 minutes. Stir in collard greens and cook until wilted, abut 2 minutes. Transfer mixture to medium bowl and let cool to room temperature. Mix in goat cheese and season stuffing with salt & pepper. Sill pork tenderloin with stuffing, poking it in with wooden spoon. Season tenderloins with salt & cracked pepper and wrap bacon strips securely around them; try to cover any exposed stuffing with bacon. Grill tenderloins over moderately high heat, turning four times until browned on every side, about 25 minutes or internal temperature reaches 140-degrees. Transfer tenderloins to cutting board, cover tightly with foil and let rest for 10-15 minutes. Meanwhile, prepare sauce. Heat oil in medium saucepan. Add garlic and cook over moderate heat until fragrant, about 1 minute (careful not to burn). Add apple, cider, Rieslilng, Chicken stock, sage & thyme and simmer until apple softens, about 7 minutes. Transfer contents of saucepan to blender and puree until smooth. Strain sauce back into saucepan and boil until it coats back of a spoon, about 5 minutes. Season with salt & pepper. Note: Bacon wrapped stuffed tenderloins and sauce can be made ahead and refrigerated. Bring tenderloin to room temperature before grilling. Reheat sauce and serve as directed. 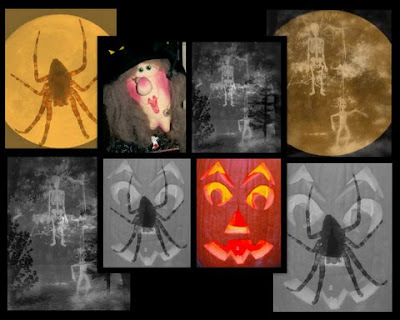 As I have seen in one autumnal face." "Winter is an etching, spring a watercolor, summer an oil painting and autumn a mosaic of them all. " Combine flour, cheese, pecans, salt, and paprika. Add oil and stir well. Press mixture firmly in bottom and up sides of 9-inch deep dish quiche or pie plate. Bake for 12 minutes. Cool completely. In small bowl whisk olive oil with lemon & orange juices, vinegar, and orange and lime zest. Season lightly with salt and pepper. In large bowl, toss spinach, basil and plums. Add dressing and toss well. Sprinkle with sea salt & black pepper and serve immediately. "Anyone can count the seeds in an apple but only God can count the number of apples in a seed." Combine flour, baking soda and salt; set aside. Combine oil, eggs, sugar, and vanilla and beat on medium for 2 minutes. Add flour mixture at low just until blended. Fold in toasted nuts, apples and coconut (batter will be stiff). Bake in greased & floured tube pan in middle of oven for 1 hour and 25-30 minutes, until toothpick in center comes out clean. Cool in pan for 10 minutes; remove & drizzle with warm Brown Sugar Glaze. "October's poplars are flaming torches lighting the way to winter. " Melt 2 tablespoons of butter in large saucepan. Ad mushrooms and cook over high heat, stirring occasionally until golden, about 8 minutes. Transfer to a plate. Melt remaining 4 tablespoons of butter in saucepan. Ad onion and shallots and cook until softened. Add wild mushrooms and cook, stirring until tender, about 20 minutes. Add Cognac and cook until evaporated. Stir in stock, and snipped thyme, bay leaves and cooked baby bella mushrooms. Bring to s simmer and reduce heat , cooking on moderately low for 45 minutes. Discard bay leaves. Working in small batches, puree soup in blender until smooth. Return soup to saucepan and stir in cream. Season with salt & pepper. Blend Asiago cheese, cream cheese and egg yolk in small blender until creamy. Spread mixture on baguette toasts and arrange on baking sheet. Preheat broiler and broil toasts for about 2 minutes until golden and bubbly. And remove and cut away the spreading branches." Rinse grape leaves under cold water and pat dry. Remove tough stems and ends. Place vein side up on clean flat surface. Combine goat cheese, olive oil, and fresh herbs until smooth. Season with salt & pepper. Fold in toasted pine nuts and capers. Spoon about 1 tablespoon of cheese mixture in center near base of leaf. fold stem end over to cover filling. Fold both sides inward and tightly roll leaf toward pointed tip end to form a tight pocket. Place seam side down on plate. Repeat with remaining leaves and filling. Brush rolled leaves with oil and sprinkle with lemon juice and zest. Arrange leaf packets on serving platter. Garnish with grapes and fresh mint. For mix: In a small pitcher or 2-cup glass measure, combine lime juice, horseradish, and celery seeds. Mash the mixture with the end of a wooden spoon to blend and break up the celery seeds. Pour in the tomato juice, Worcestershire sauce, hot sauce, salt and black pepper. Stir everything together to combine. Divide the vodka between 2 tall, chilled glasses filled with ice. Fill the glasses with the tomato juice mixture; stir. Add smoked chubs and kosher dill spears to glasses. For each serving, thread 2 olives on a cocktail pick. 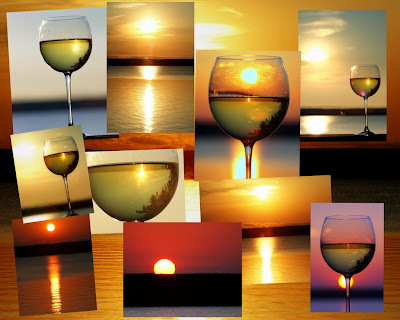 Place each across the rim of each glass and serve. Makes 2 (about 10-ounce) servings. would he have made wine so good?" "Good wine is a necessity of life for me." 24 Slices of bread, cubed(may use French bread, brioche, or any type white bread). Place 1/2 the bread cubes on the bottom of a spray-coated 12x20x2" pan. Scatter cream cheese, 2 C. of blueberries, and orange zest over bread. Place remaining bread cubes over blueberries. Mix together eggs, milk, and maple syrup. Pour evenly over entire pan. Cover and refrigerate 4 hours or overnight. Preheat oven to 350°. Bake covered for 40 minutes. Uncover, bake an additional 30 - 40 minutes, or until puffed, browned, firm and thoroughly cooked. Cut into 24 squares and keep warm. For sauce: in a large pot, thoroughly blend sugar and cornstarch. Stir in water. Cook over medium-high heat, stirring occasionally, until mixture boils, thickens, and turns clear - about 7-8 minutes. Stir in blueberries and simmer until berries burst. Remove from heat and stir in butter and lemon juice. Keep warm. To serve: pour about 1/4 to 1/2 C. sauce over each portion. Serve hot. 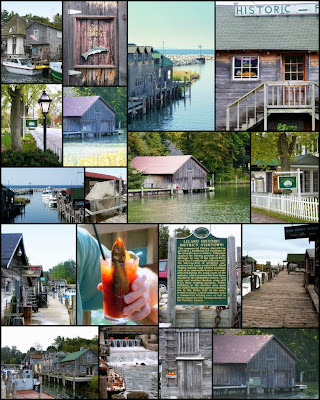 "For this place, this Leelanau Peninsula, a high place early surrounded by the Lake of Michigan, was fine terroir. The ice-ground rock made good soil for grapes, deep & well drained, lying in ridges,exposing the vines properly to the sun. 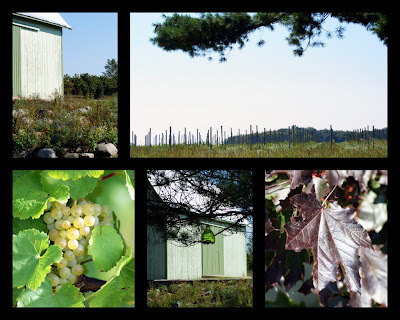 And the Lake of Michigan tempered the climate making a good growing season - ripening the grapes not too much, not too little, but just right for fine wine." "Our goal has always been to produce the finest wines possible. We strive to make wines that express the unique soil and climate in which they grow, the personal attention they are given in vineyard and wine cellar, and the winegrower’s esthetic. 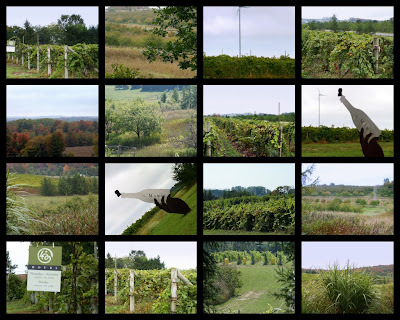 Our wines are living things, raised with care, giving voice to our joie de vivre.We have produced estate grown and bottled Leelanau Peninsula wines since our first crush in the fall of 1978. Now we make entirely methode champenoise and cuve close method sparkling wines. 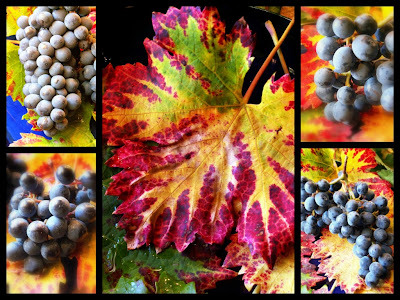 Many wines are from our estate vineyards; however, we are producing wines from grapes purchased from other vineyards. Our current annual production is less than 8000 cases: this modest volume allows us the pleasure of winemaking in the style we enjoy - small lots made with minimal handling.All of our L. Mawby sparkling wines are made using the methode champenoise, and are aged in the bottle before disgorging, with many cuvees being given 3 or more years of tirage aging. Our M. Lawrence sparkling wines are produced in the cuve close method, are given less aging, and are less costly than the method champenoise sparkling wines." when the only thing that helps is a glass of champagne." and he planted a vineyard." Willow Winery was established in 1992. It was and continues to be,a work of passion and love created and designed by John and Jo Crampton. Located on a beautiful, wind-swept hillside in Suttons Bay, the panoramicviews of West Traverse Bay add to the majesty of the vineyard. 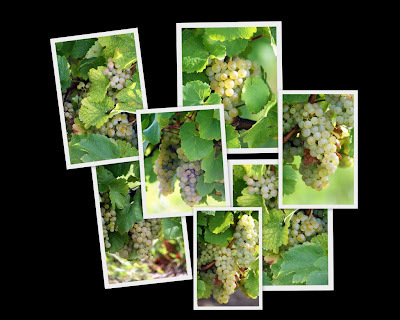 Willow produces premium Chardonnay, Pinot Noir, Pino Grisexclusively from estate or regionally grown fruit. 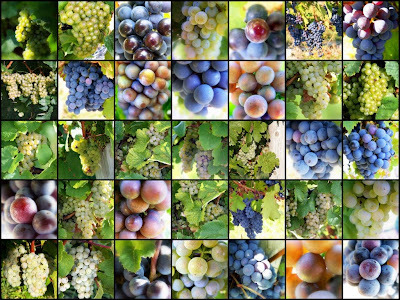 "The scope of the subject of wine is never ending, [as indeed,] so many other subjects lie within its boundaries. Without geography and topography it is incomprehensible; without history it is colorless; without taste it is meaningless; without travel it remains unreal. It embraces botany, chemistry, agriculture, carpentry, economics – any number of sciences whose names I do not even know. It leads you up paths of knowledge and by-ways of experience you would never glimpse without it." 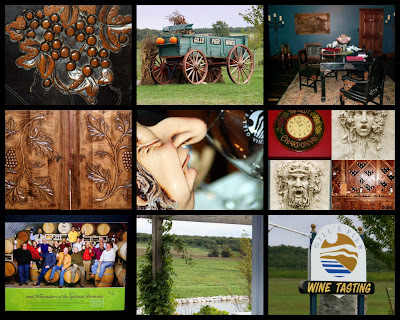 "Think of it as your very own, perfectly charming, winery and Old World Inn. 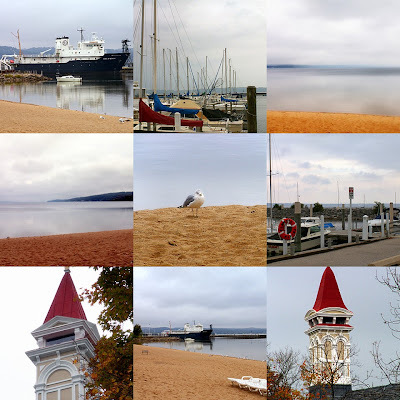 Offering breathtaking views of both East and West Grand Traverse Bay. Open all year, our gracious staff will offer wine tasting and sales-from dry to sweet to sparkling. 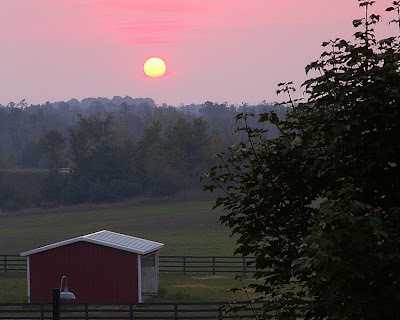 Immerse yourself in our year-round B&B ~ stay a night or come for a wine seminar, cooking class, or plant private event ..."
Place chopped cinnamon raisin bread in 13 x 9 inch glass pan coated well with cooking spray. Mix cream cheese, butter and 1/4 cup maple syrup until smooth. Spread mixture over top of bread, leaving some openings through which to pour egg mixture. Beat eggs, half & half and 1/2 cup maple syrup. Pour egg mixture over bread and sprinkle with cinnamon sugar. Cover and refrigerate overnight. "And then one goes up the country -- song by song and wine by wine." 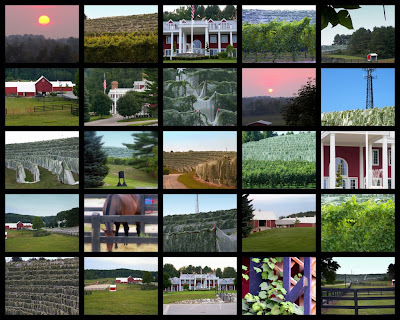 "Brys Estate Vineyard & Winery is a family owned boutique winery situated on 80 acres with breathtaking view of East Grand Traverse Bay. 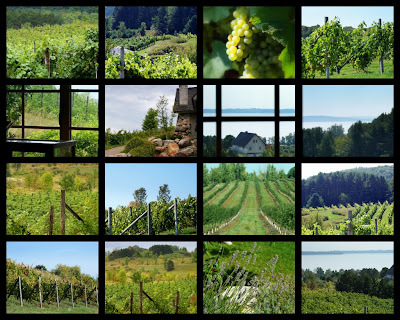 We produce only 5,000 cases per year of estate grown and bottled Pinot Blanc, Pinot Grigio, Chardonnay, Riesling, Gewurztraminer, Pinot Noir, Merlot, Cabernet Franc and Ice Wine ..."
Marinate pork tenderloin in Mustard Marinade in refrigerator for a minimum of 4 hours. Grill or broil tenderloin until medium, approximately 8-10 minutes. Slice on bias into 1/4 inch pieces. Ladle 1/4 cup Cherry Compote on plate and place sliced pork on top of compote. Garnish with fresh rosemary sprigs. Puree olive oil and garlic in blender. Add remaining ingredients and blend well. Saute red onions and shitake mushrooms in olive oil until lightly browned, approximately 3-5 minutes. Add beef stock, orange zest, Cabernet Franc; bring to boil and continue cooking until liquid is reduced by half. Add dried cherries, orange juice, thyme, and port wine. Return to boil and continue cooking until liquid is of a syrupy consistency. Remove from heat and whisk in chilled butter, one piece at at time. Return to boil prior to serving. "Our winery's contemporary architecture is a bold statement capturing the fresh characteristics of our wines. Stepping into our tasting room, you're immediately drawn to a bar of concrete overlooking a sweeping vistas of East Bay ~ a view beyond compare ..."
with fewer tensions and more tolerance." 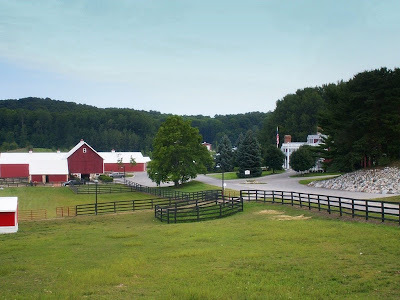 "Peninsula Cellars in a family owned and operated winery located on the 150-year old Kroupa farm. 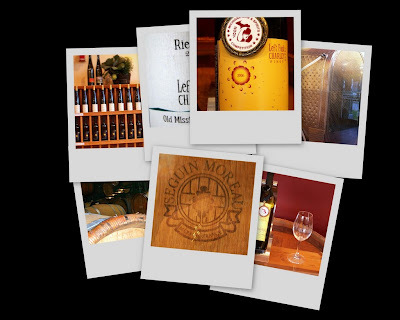 Specializing in Gewurztraminer and Reisling, Peninsula Cellars also offers a number of red, white, and fruit wines, including a white cherry wine and a black sweet cherry dessert wine. Located 6 miles north of Traverse City ..."
Heat to 135-degrees, hold for 30 minutes. 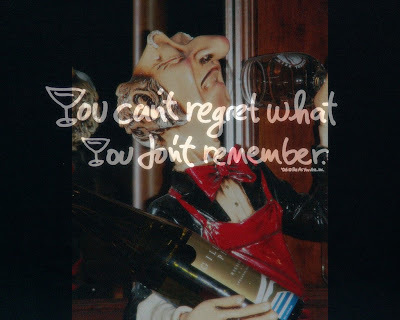 Drink and enjoy! 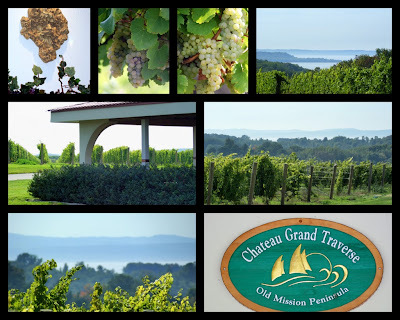 "With stunning views, a modern wine making facility, and more than 120 acres of estate vineyards, this is the oldest and largest winery on the Old Mission Peninsula. Owned and operated by the O'Keefe family, this pioneering winery is internationally known for producing outstanding Rieslings of Consistent high quality and value. 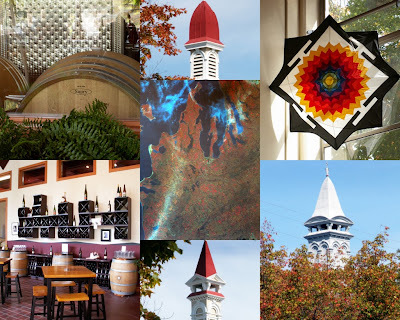 Offering guided winery tours, a well-appointed tasting room, and a friendly and knowledgeable staff, visitors enjoy a complete winery experience. 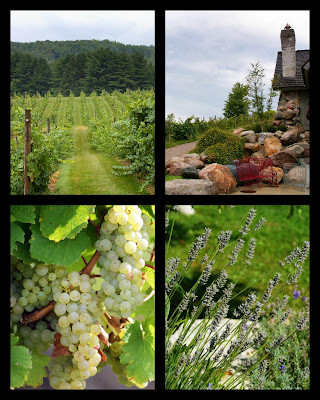 The Winery Inn offers 6 guest rooms overlooking the vineyards and Grand Traverse Bay." Sing now the lusty song of fruits and flowers." Place apple juice in small saucepan and bring to boil over medium-high heat. Cook until reduced to about 3 Tbsp. (about 10 minutes). Combine reduced apple juice, vinegar, oil, salt, and pepper, stirring with a whisk. "Wine and cheese are ageless companions, like aspirin and aches, or June and moon, or good people and noble ventures . 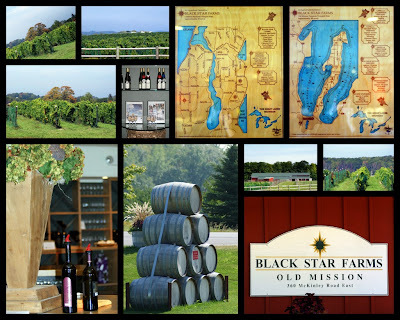 . ."
Black Star Farms Old Mission, sit just of scenic M-37 amongst the rolling hills and gorgeous view of East Grand Traverse Bay. The former home of locally re-known Underwood Farm Market now houses a beautifully renovated tasting room and state of the art wine making facility. 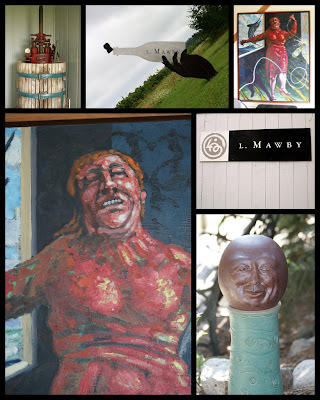 The tasting room boasts a round bar constructed from wine barrel, a cozy fireplace, and wine proudly on display." Rub the interior of the fondue pot with the garlic halves, then discard. Place the fondue pot over medium heat, add the wine and gently heat, about 5 minutes. Add the lemon juice and Emmentaler and Raclette cheeses. Bring to a boil, stirring constantly. When the cheese is melted, stir in the Spirit of Cherry and cornstarch. Season with black pepper and nutmeg. Stir to blend thoroughly. To serve, place the fondue pot over the flame. Each person should give the fondue pot a stir when dunking the bread cube, this keeps the fondue creamy. 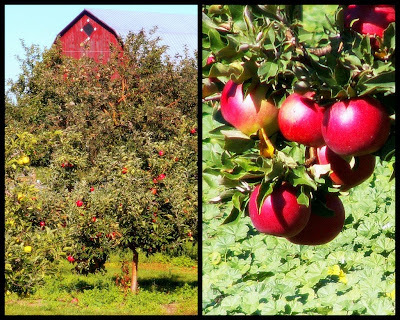 ~ October is apple time in Michigan. Please enjoy this simple open-face apple French dessert compliments of Edible Grande Traverse/Fall 2008. In mixing bowl, blend four, salt and sugar. Add butter and blend in by cutting up into pieces i the four, using a pastry cutter, 2 knives slicing against each other, or your fingertips. When most of the flour and butter have been incorporated but still small, pea-sized lumps of butter visible, sprinkle on about 3 Tbsp. of ice water. Mix lightly until it all just barely holds together in a ball. Add a little more water if mixture is still too dry. Form quickly into a ball, cover n plastic, and refrigerate for about 30 minutes. In heavy 10-inch skillet (I like an iron skillet) or fireproof baking dish, gently heat sugar and utter until melted; remove fro heat. Core apples and cut each into eight wedges (10-12 for large apples). Arrange in closely packed layer in the skillet, pressing lightly into the sugar mixture. Toss remaining apples in a little lemon juice (and spice) and arrange in a second layer in the pan. Cook over low to medium heat for about 30 minutes until juices are bubbling and brown and apples are somewhat tender. Remove from heat for 5-10 minutes. Take cold pastry dough fro refrigerator and roll into a circle big enough to cover all of the apples. When oven is fully preheated, lay the dough on top of apples and trim it quickly so that it all fits inside the pan. Put immediately into oven and bake for about 20 minutes, until crust is browned and cooked through.